“The rise of the islet of Bau as the pre-eminent state in pre-colonial Fiji was due mainly to the projection of its Sea Power through its sea warriors – the Lasakau and Soso Kai Wai. As quoted by Deryck Scarr …“for Bau relied on levying… and power projected at sea by the Lasakau and Soso sailors”. 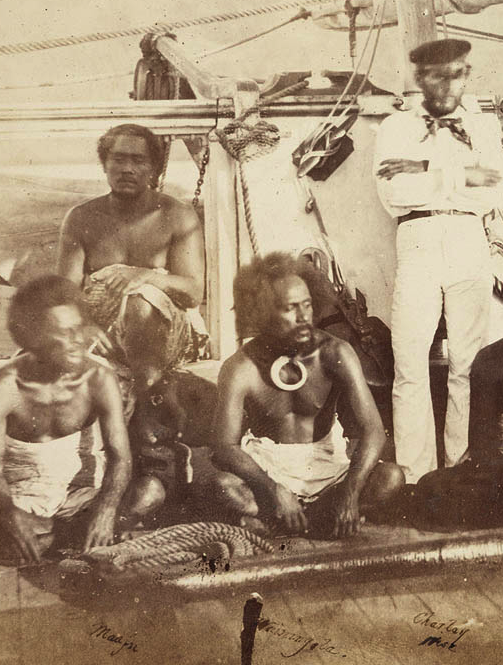 Sea power: ” The kings of Bau based their rule not on native cultivators but on native sailors and fishers-which is to say in Fijian categories, as in political strategies, not on the land but on the sea. Plus guns from Europeans: Added to this naval superiority was the fire power the War Lord Vunivalu of Bau, Naulivou, exploited through the use of musket-bearing European beachcombers. Of notoriety was Naulivou’s white mercenary Charlie Savage who was the terror of Bau’s enemies until his death in 1813 Thus at the time of Naulivou’s death, Bau seemed well on the way to establishing a Fiji-wide political hegemony. Author: Jonocan 14 July 2008 (UTC).